Oatmeal is a hearty, healthy and satisfying way to start the day. And with these oatmeal recipes, you can go way beyond instant packets of quick oats with dried fruit. 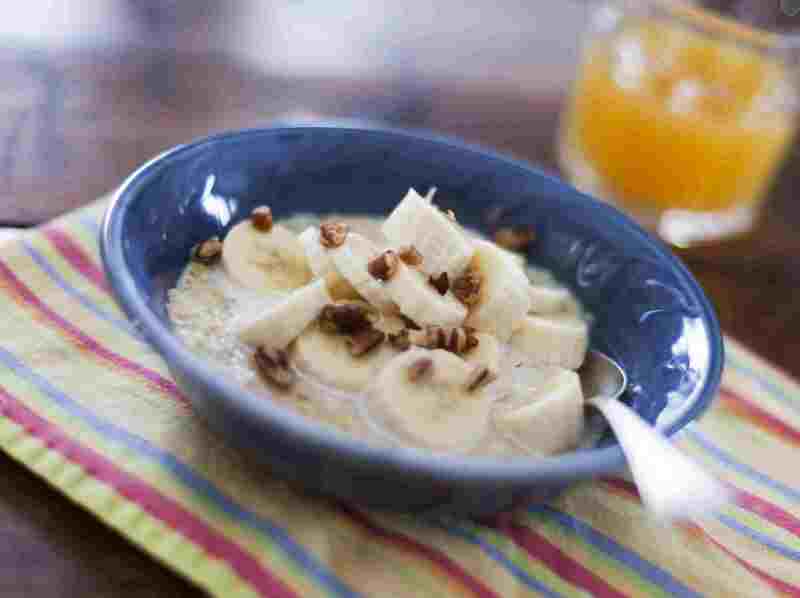 Oatmeal recipes don't get much heartier, healthier or tastier than this oatmeal recipe. The sweet-tart taste of cranberries combined with crunchy walnuts and brown sugar are an unbeatable combination in this oatmeal recipe. If the defining feature of oatmeal recipes is the texture, this baked oatmeal souffle recipe defies the rules. Light and airy, this oatmeal souffle is the perfect special occasion oatmeal breakfast -- and an ideal choice for people who think they don't like oatmeal. This is one of those oatmeal recipes that really makes people sit up and take notice. Fresh peaches make this oatmeal recipe taste like a peach crisp. This oatmeal recipe takes only 5 minutes to prepare. Dump everything in the Crockpot, and you're done. The combination of apples, cinnamon and honey tastes divine. Steel cut oatmeal has a somewhat rougher texture than rolled oatmeal, which may take some getting used to, if you haven't tried it before. This is one of those oatmeal recipes you can dump it in the slow cooker the night before and have a warm and healthy breakfast waiting for you in the morning.